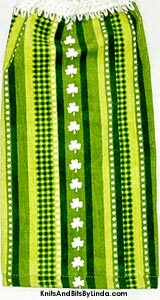 Vertical rows of green stripes and checks are featured on this 100% terry cotton kitchen hand towel with green background for St Patrick's Day. There is a row of white shamrocks down the center front of the towel. 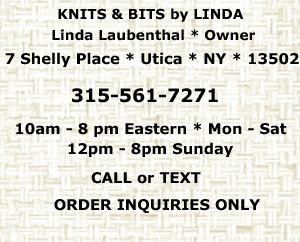 It has a White acrylic yarn top for hanging from the stove, fridge or cabinet handle.